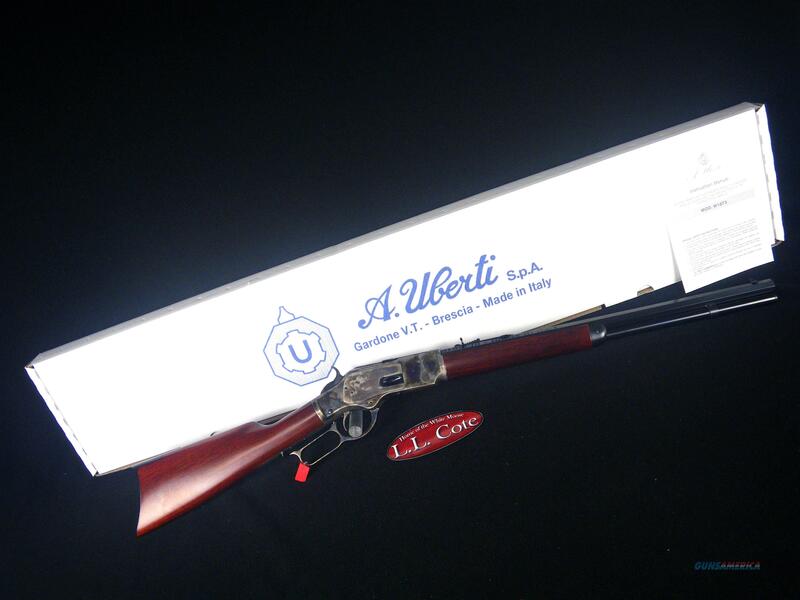 Description: You are bidding on a Uberti 1873 Short Rifle in 45 Colt with a 20" barrel. The Winchester 1873 Rifle was called the “rifle that won the West.” This piece of history is available in 7 distinctive models, including the Uberti 1873 Carbine and the Uberti 1873 Special Sporting Rifle, and others. See them all below. When the gun was first offered, it was chambered in the powerful new .44-.40 cartridge. The .44 caliber bullet was propelled by 40 grains of black powder. The success of the 1873 Rifle was assured when Colt quickly offered its Peacemaker in the same caliber. Then a cowboy needed only 1 cartridge belt for a lever-action rifle plus his 6-shooter. Exclusively available in 2018, the Uberti USA 1873 Limited Edition Short Rifle Deluxe takes the basic model to new heights of beauty and functionality. Displayed images are stock photos. Any questions please feel free to ask (our phone number is in the additional information tab above).